Conviction comes after intense federal investigation. Alphons Iacobelli, right, was sentenced to 5.5 years in prison for his role in the FCA-UAW training fund scandal. A former senior executive from Fiat Chrysler Automobiles N.V., Alphons Iacobelli, was sentenced to five and half years in prison for his role in a bribery scheme aimed at influencing decisions by the United Automobile Workers union. 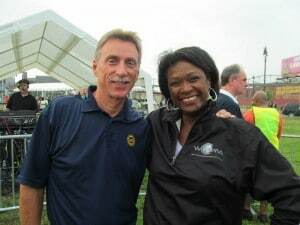 Federal investigators found that Iacobelli, who headed FCA’s labor relations staff until 2015, and others stole money from the joint FCA-UAW National Training Center for their personal benefit and lavish items, such as a used Ferrari and $35,000 Mont Blanc pens. The money was also used for travel, home improvements and to pay the mortgage of General Holiefield, a former UAW vice president, who headed the union’s Chrysler Department from 2006 to 2014 when the scandal was in full flower. Iacobelli said in court before the sentencing by U.S. District Judge Paul Borman that he accepted full responsibility for his part in the scandal. He also said he was helping federal authorities unravel the other aspects of the bribery scheme. Iacobelli entered a guilty plea earlier this year to charges of violating federal labor law. Nancy Adams Johnson, right, was the highest ranking UAW official to plead guilty in the ongoing investigation into the theft of UAW-FCA training funds. 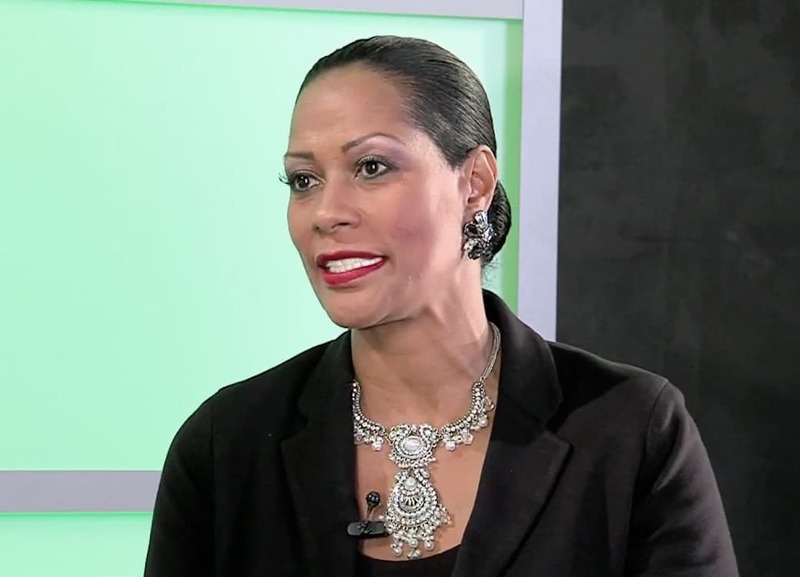 Holifield’s widow, Monica Morgan, who was also charged in the scandal and sentenced to more than two years in prison for filing misleading federal tax forms. Six other FCA and UAW officials have been indicted by a federal grand jury in Detroit for their part of in the scandal.The UAW responded to Iacobeill’s sentencing by insisting that the former FCA executive was at the heart of the scandal. “As he has admitted, Mr. Iacobelli stole hundreds of thousands of dollars of NTC monies to build a luxury swimming pool and outdoor kitchen at his house for himself. He stole NTC monies to buy a $350,000 Ferrari for himself,” the UAW said in a statement. “He stole NTC monies to buy jewel-encrusted pens for $37,000 a piece for himself. And he stole NTC monies to pay over $1 million in personal credit card bills for himself and his wife. “Whatever may be said about the misconduct of others at the NTC, these thefts from the NTC by Al Iacobelli had nothing to do with trying to influence collective bargaining. They had everything to do with Al Iacobelli’ s personal greed. And the NTC has now sued Mr. Iacobelli to recover the millions of dollars he stole from it,” the union insisted. The union also pushed back against the idea that the scandalous behavior by FCA and union officials had any impact on the negotiations. The union also has avoided criticizing FCA CEO Sergio Marchionne, who befriended Holiefield after the 2009 deal that turned Chrysler over Fiat. Monica Morgan, the widow of former UAW VP General Holiefield, was sentenced to 18 months in jail for her role in the FCA-UAW scandal. 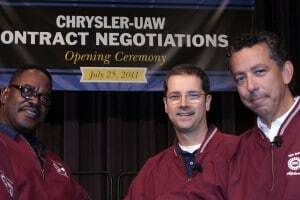 In 2011, the FCA-UAW negotiations were carried out under restrictions imposed by the federal auto bailout.In 2015, union members also rejected the first draft of the contract. “There are many layers of checks and balances in our contract negotiations and ratification, including membership voting, and we are confident the terms of our UAW contracts were not impacted by Iacobelli’s fraudulent conduct at the NTC. The UAW has and continues to respond by making changes to ensure this type criminal behavior will not happen again,” the union said. Since the federal probe became public last July, however, details of an expensive dinner for company and union bargaining teams after the first tentative settlement in September 2015 have become public. In addition, there are also resolved questions about a lavish birthday party for Norwood Jewell arranged by the joint staff of the NTC. Jewell had been assigned by then UAW President Dennis Williams to tighten up controls of the union’s FCA department after mounting complaints about the union’s lack of response to pressure from the company on issues such as work rules and grievances. Federal agents searched Jewell’s home last year, indicating that the federal prosecutors are concerned he may have continued illicit practices that had prevailed under during Holiefield’s tenure. This entry was posted on Monday, August 27th, 2018 at and is filed under Automakers, Automobiles, Business, Executives, FCA, Markets, Personalities, U.S./North America, UAW, Union. You can follow any responses to this entry through the RSS 2.0 feed. Both comments and pings are currently closed. Did this happen in 1958 or 2018? I never understand how people can get access to money that is not theirs.